OK, you sent the check to the Black Hills Beanbag Manufacturing Co. …. three years ago. And yet, every month when you reconcile the bank account, that Beanbag check keeps plopping down in the outstanding checks column. You’ve called and left messages, but the check remains uncashed. It’s been so long, you can’t even remember what you bought from Black Hills Beanbag. You can’t just delete the check from the account. Unclaimed property laws provide a system through which items such as uncashed checks are reported to the individual state’s Unclaimed Property Office, then published in the local newspaper and then finally turned over to the State for safe keeping until its rightful owner makes a claim. South Dakota law presumes that checks outstanding for more than three years are abandoned. Payroll checks outstanding for more than one year are presumed to be abandoned. 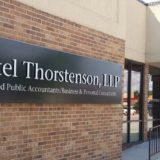 These are just two examples, but they are the ones that Ketel Thorstenson LLP’s accounting services staff deal with most often. South Dakota Codified law 43-41B outlines the requirements for reporting unclaimed property to the State Treasurer’s Office. What should you do? Review your monthly bank reconciliations for long, outstanding checks. If a check has not cleared the bank in a timely fashion, you are responsible for following up to determine the reason. Does another check need to be issued? Was there an accounting error on the vendor’s end? Is the employee’s forwarding address no longer valid? Was a new check already issued and the old, outstanding check was never voided? After all efforts are exhausted, business owners should read the filing requirements at the link below and ensure reporting is completed. For information regarding filing requirements, see sdtreasurer.gov/unclaimedproperty. For information regarding SD Codified law, see legis.sd.gov/Statutes/Codified_Laws.